Retain more of the food’s vitamins and minerals without adding extra oil or water, and eat healthier. Maxam 18 PC Stainless Steel Cookware Set with Steam Control Knobs. Features: 9-Element T304 S.. Precise Heat 65 qt 12-Element T304 Stainless Steel StockpotFeaturesCook for a crowd or cook for a we..
Each piece is constructed of extra-heavy T304 stainless steel and guaranteed to last a lifetime. 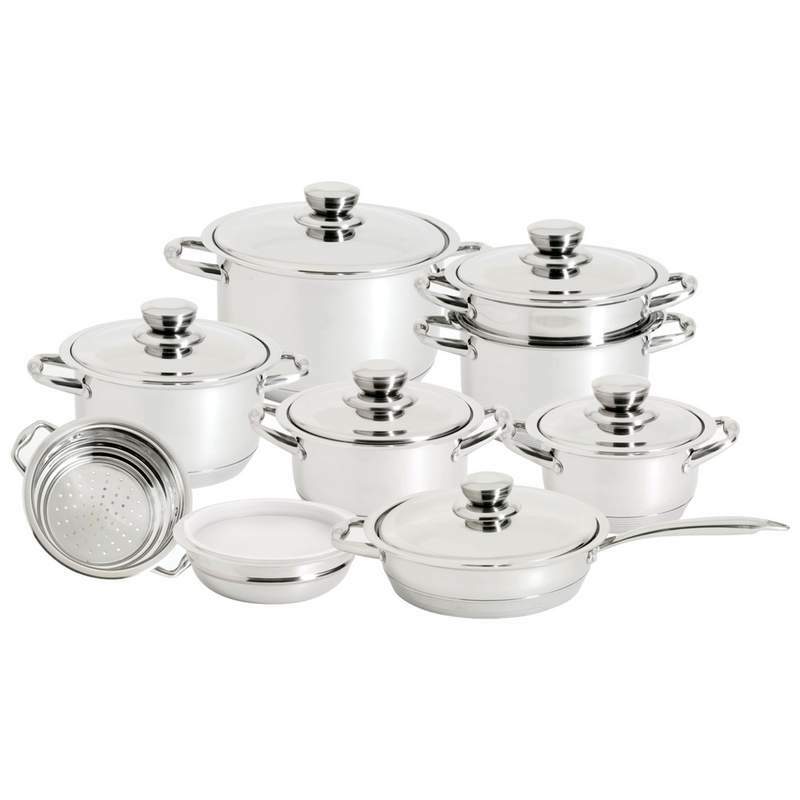 The..
28 PC 12-Element High-Quality, Heavy-Gauge Stainless Steel Cookware SetYou can own the perfect pan f.. Precise Heat™ 28oz 12-Element T304 Stainless Steel Open Saucepan.Features: Mirror Finish ExteriorImp.. Precise Heat 24 qt 12-Element ''Waterless'' Stockpot with Deep Steamer BasketMade of heavy-gauge T30..